PrepQuip designed and manufactured a unique firefighting equipment protection truck for one of the world’s leading petrochemical companies. The entire design was manufactured from stainless steel which ensures rust prevention and durability. 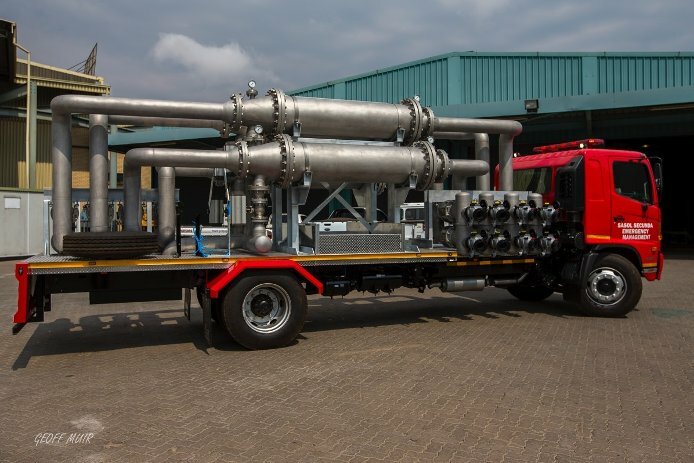 The purpose of the truck is to screen out any oversized material present in the firewater stream which in turn prevents nozzle blockages and equipment damage. The capacity of the truck with 4 x 300 NB In-line Guard Screens is 40 000 l/min. 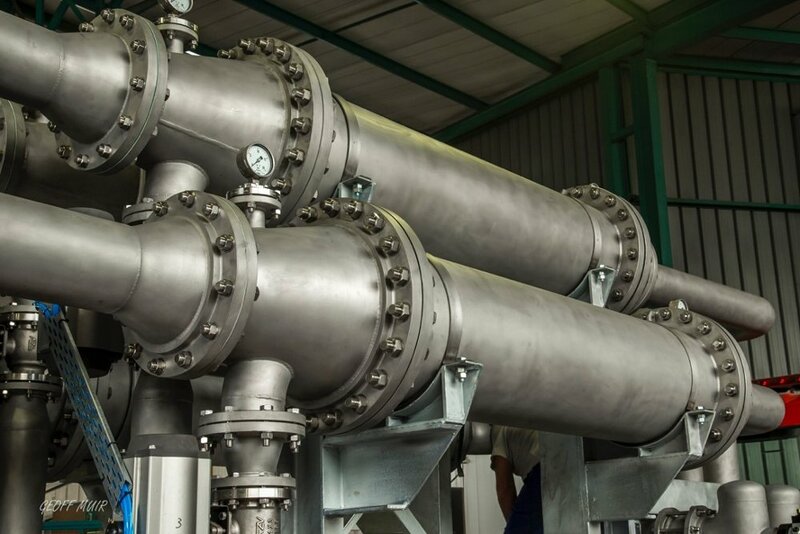 The equipment is unique in the way that no flow restriction is experienced during operation and automatic flushing of the unwanted material occurs during operation. 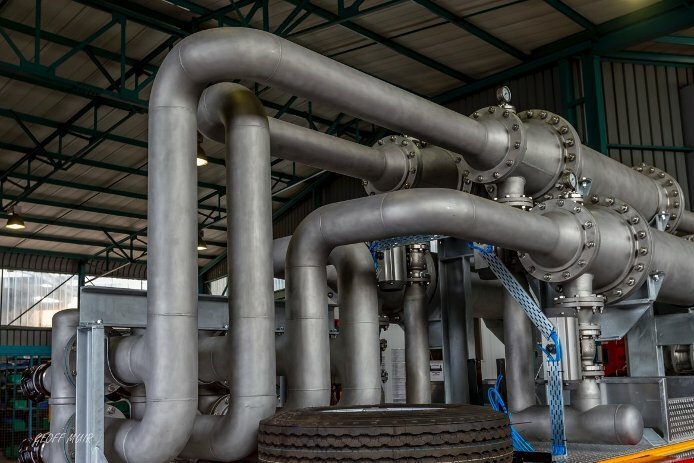 The piping and design was conducted by the experienced engineers at the PrepQuip group in line with manufacturing standards and ISO quality standards. The design can withstand pressures of up to 18 bar line pressure with an operating pressure of 12bar.